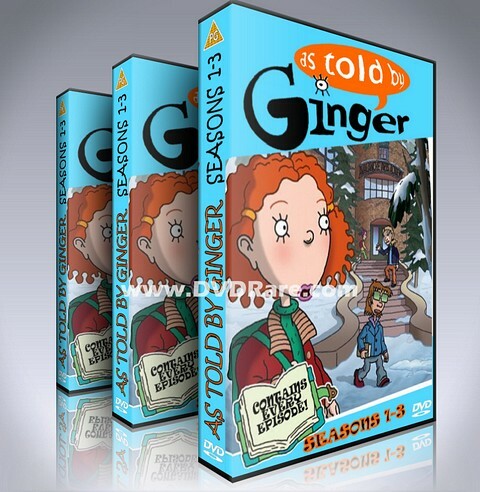 Finally, the hit Nickelodeon animated series As Told By Ginger has been released on DVD, exclusively at DVDRare.com. This DVD Box Set contains every single episode from all 3 seasons of the show! The show focuses mainly on the life of junior high school student Ginger Foutley. She, along with her friends, Darren Patterson, Dodie Bishop and Macie Lightfoot, all try to rise from the position of school geeks as they solve many conflicts that come their way. Luckily for Ginger, the most popular girl in school, Courtney Gripling, has taken a liking to her and often includes her in her social plans. She is intrigued by her 'gingerisms', as Courtney calls them. However, Miranda Killgallen, Courtney's right-hand woman, makes sure that she is not bumped down from her position thanks to Ginger. At home, Ginger records her lively adventures in her diary. Her little brother, Carl, is often scheming with Robert-Joseph ("Hoodsey") Bishop in his own side plots, and her mother, Lois, is always there for advice to which Ginger is always open to listen. The series takes place in the fictional town of Sheltered Shrubs, located in Connecticut. 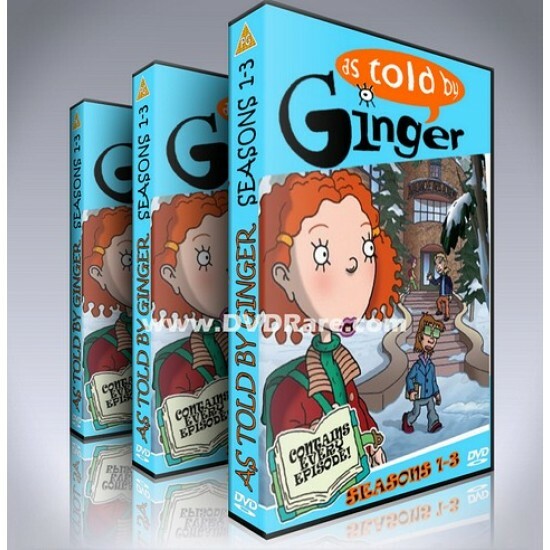 The As Told by Ginger DVD collection is a box set as shown above, all episodes are organized from pilot to finale. This ultra-rare DVD set contains every episode from all 3 seasons, unedited and exactly the same as shown on Nickelodeon back in the day! These are brand new and sealed.